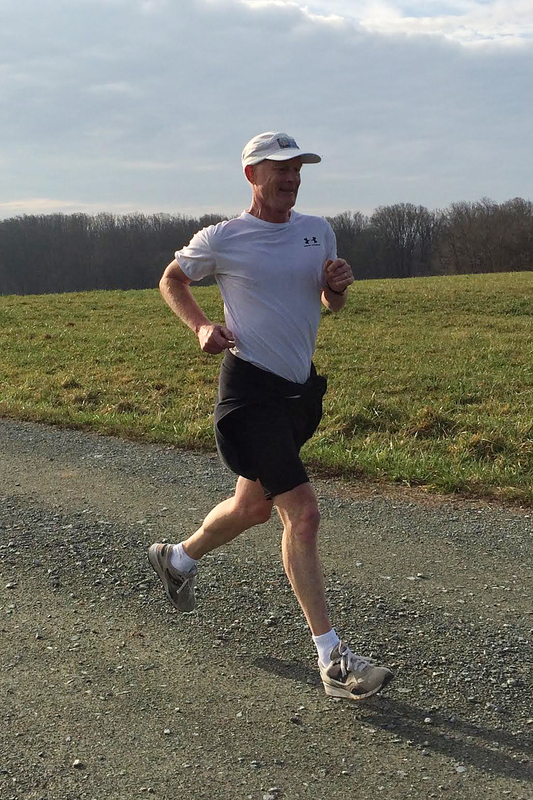 On December 31st, the 20th annual “Wring Out the Old, Ring in the New” trail run at Fair Hill Natural Resources Management Area in nearby Maryland boasted 19 participants,… if you include the three canines, one biker, and a photographer. 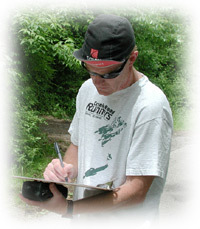 Creek Road Runners start the 20th annual “Wring Out the Old, Ring in the New” trail run at Fair Hill. Gender equality was finally achieved with eight women and eight men this year, certainly a record for the number of female runners (7). Never had there been as many dogs running the loop as this year either, not counting those who may have been “dogging” the course—you know who you are, CRR Bill Rose. The weather was crisp, but there was a delightful absence of wind (unlike last year), and everyone seemed to have a good time. …or the crazy. You decide. 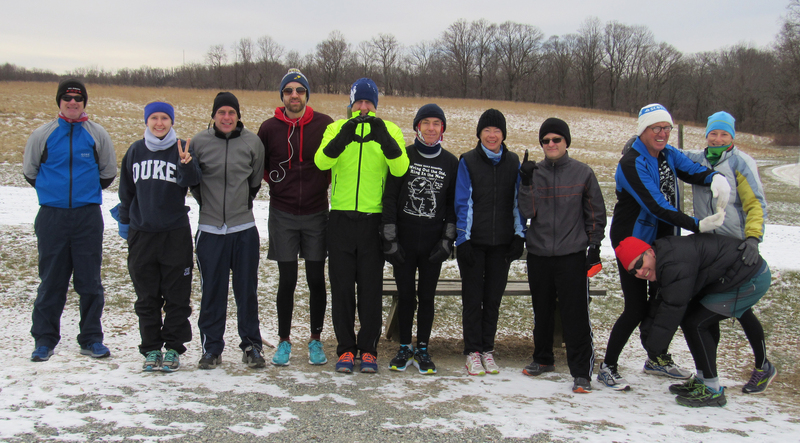 Record low temperatures greet 11 intrepid runners in the 19th annual “Wring Out the Old, Ring in the New” trail run at Fair Hill Natural Resources Management Area.